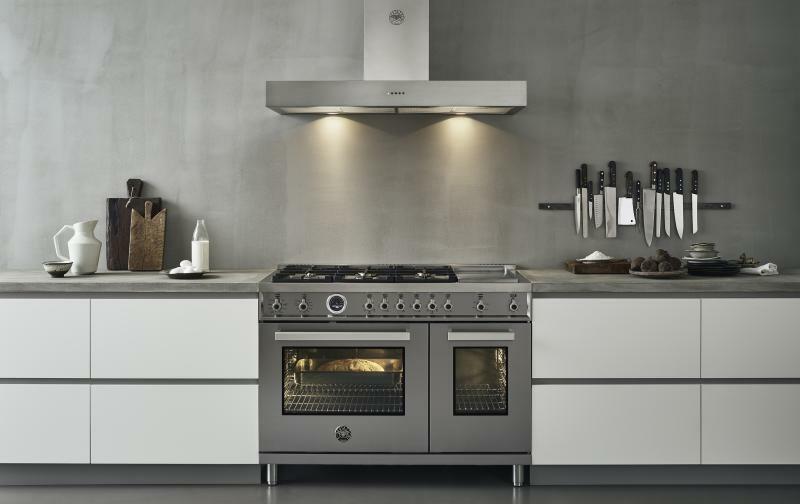 Italian appliance manufacturer Bertazzoni has introduced a number of new and upgraded kitchen appliances to the North American market. The releases include new Designer Pro ranges in both the company’s Professional and Master Series. Both collections have been expanded to include 30-, 36-, and 48-inch models with standard and self-cleaning options. New gas ranges in both series feature a 19,000 Btu Monobloc brass burner, which provides the fastest boil time in the industry, the company claims. Other highlights of the Designer Pro ranges include increased oven capacity, a 24-inch counter-depth body, an upgraded user interface, and additional induction options. Previously only available in stainless steel, the Master line now comes in matte white and matte black, while the Professional series has been expanded to include red, orange, yellow, white, and black options. The two series join the Heritage Series to round out the company’s range offerings in North America. In addition to ranges, Bertazzoni has also expanded its collection of refrigerators and dishwashers. The new units are stainless steel and panel-ready, and both are available with three different handle options that coordinate with the Professional, Master, and Heritage series ranges. 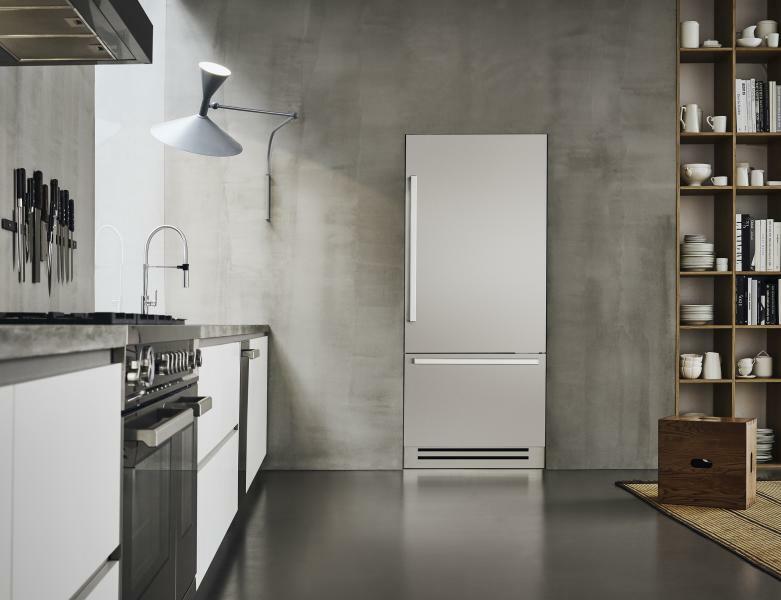 New refrigerators include a “lift and swing” hinge system, LED illumination, and lateral airflow that reduces cold loss. Both built-in and free-standing bottom-mount options are available, as well as units with left or right swinging single doors or French doors. A digital interface can switch section functions from fridge to freezer and change the humidity, speed freeze, and custom ice settings. 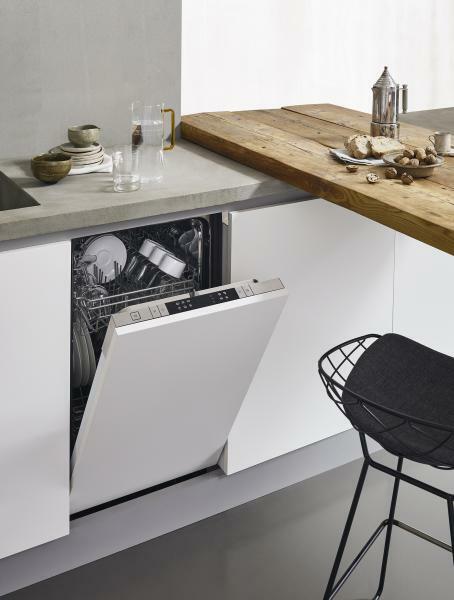 New dishwashers are Energy Star-rated and ADA compliant and can be installed at counter depth. Each features six wash cycles, including Normal, Heavy, Glass, Quick, Rinse, and ECO, as well as 4 wash setting options: Sanitize, Hi-temp, Heating Dry, and Energy Save. Eighteen- and 24-inch models are available. First previewed at KBIS 2018, the latest Bertazzoni appliances are now available for purchase at certified dealers across North America.